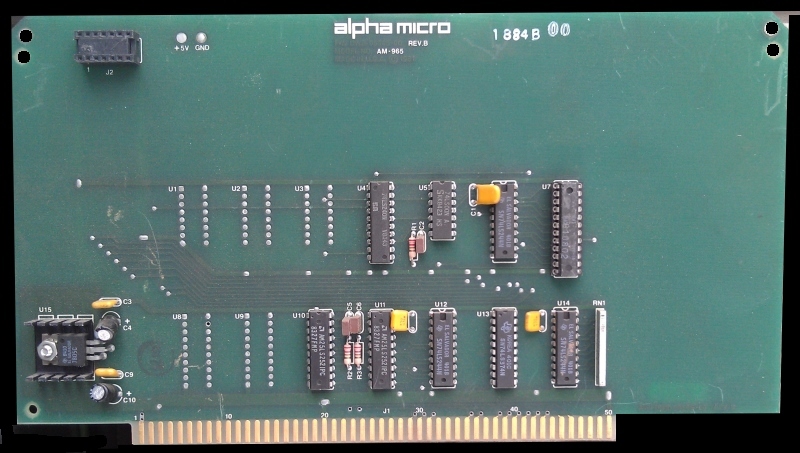 Alpha Micro made a number of special boards for their systems over the years. 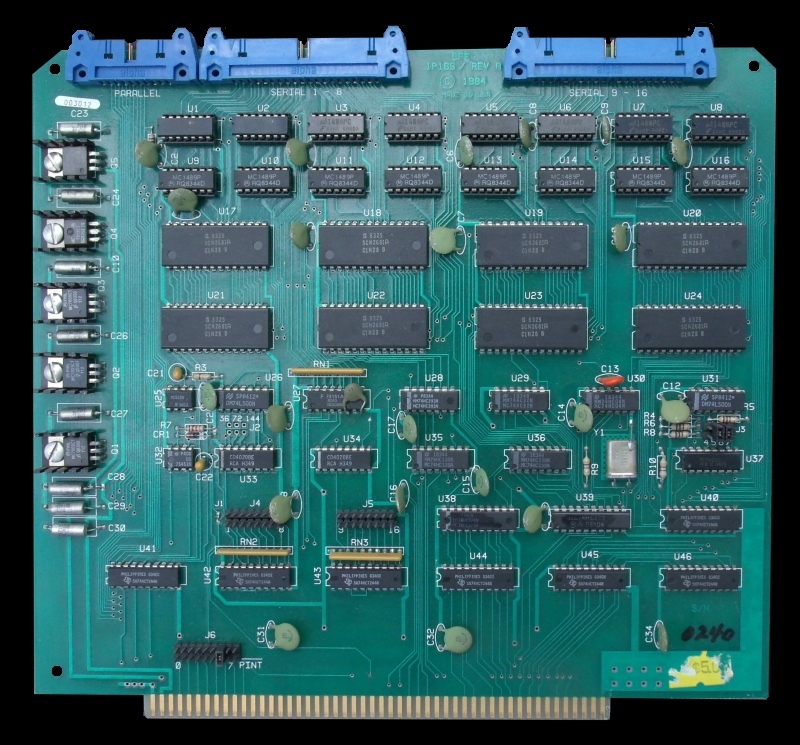 A number of these boards had an S-100 Bus interface but were "double height". They would not fit in most S-100 systems but did fit in the relatively large S-100 boxes the company made. 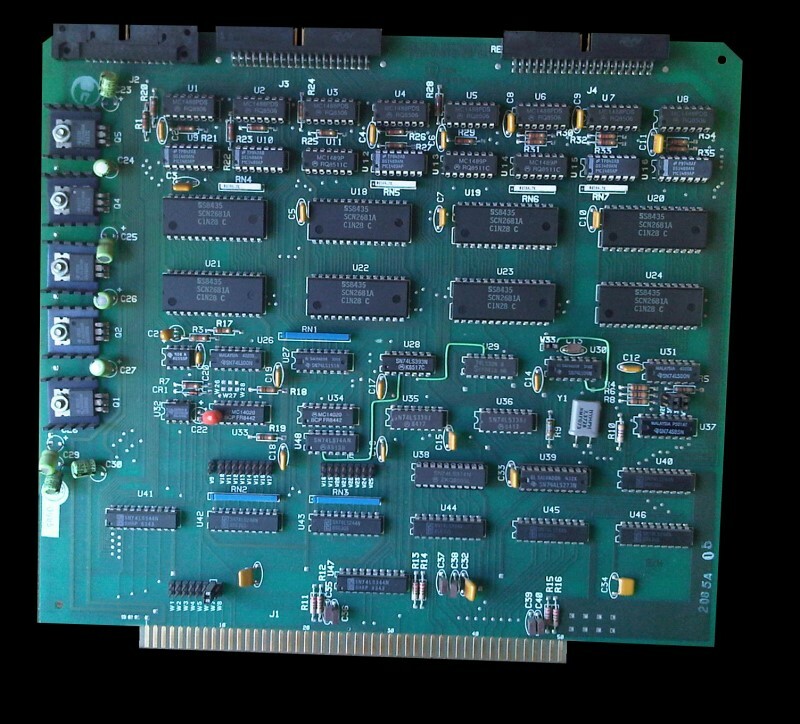 Currently I have little information about the boards themselves, but I am including pictures of two I located. If you have any information or manuals you can add please let me know. 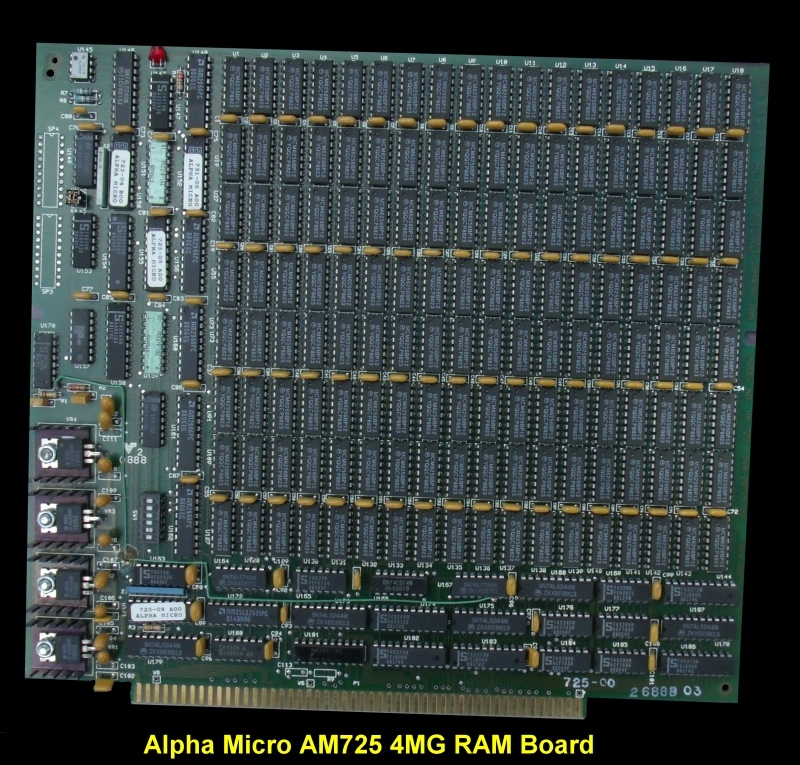 The above board was a 4MG Dynamic RAM Board. Quite impressive at the time. 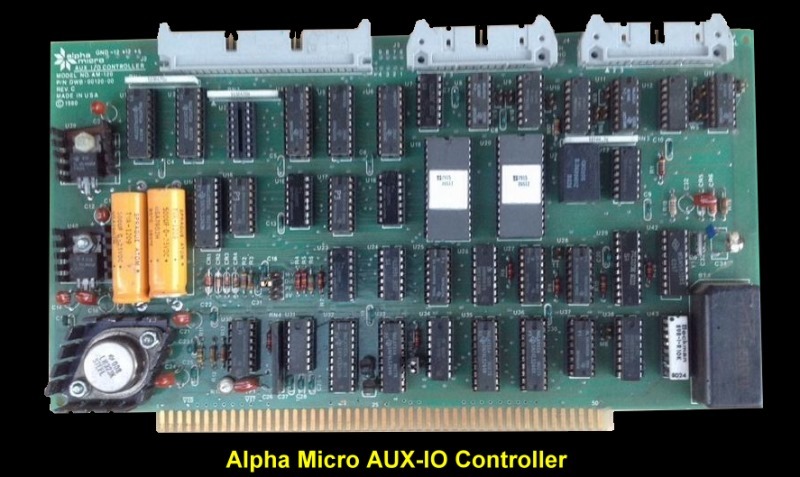 The above board was their AM-100/L, a 68000 based CPU board. 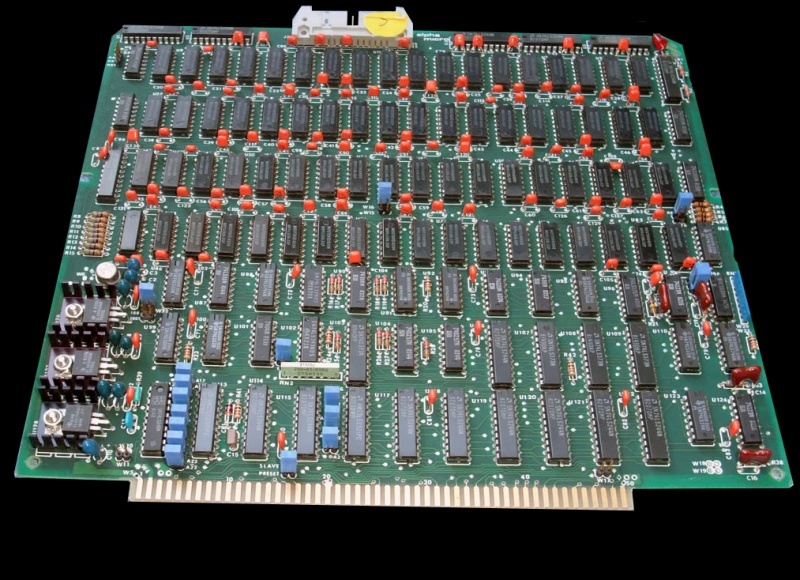 The above board looks like some kind of serial I/O board. 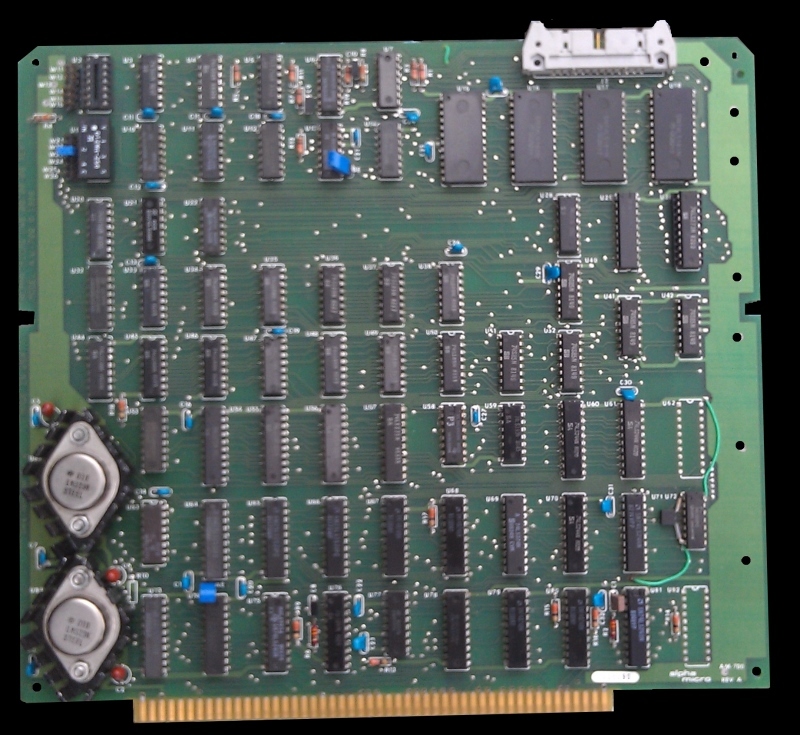 The above board was a SCSI Controller board. 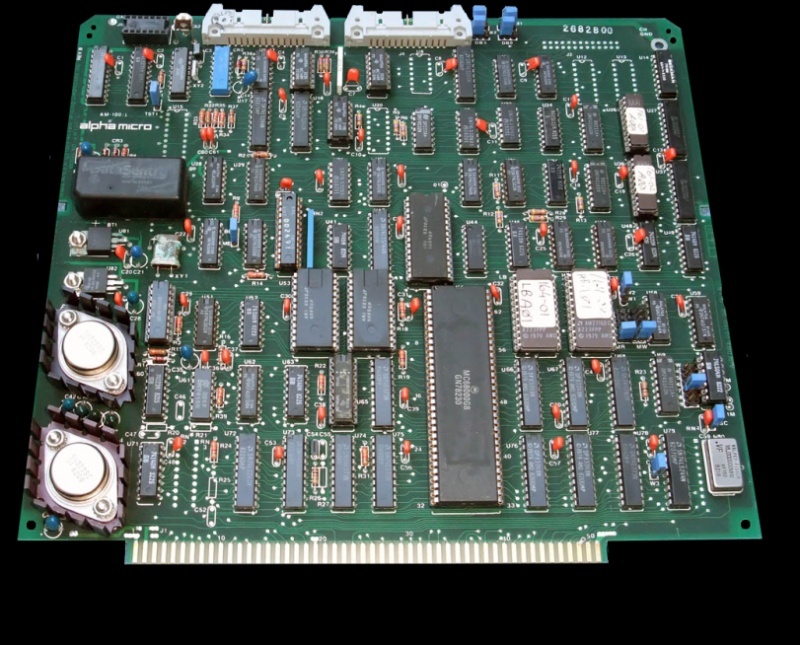 The above board was a memory controller. It was not used by the AM100L but was used by the AM100T. It's unclear what this board is for. It's unclear what this board is for. It contains a battery so it probably at least contains a RTC.